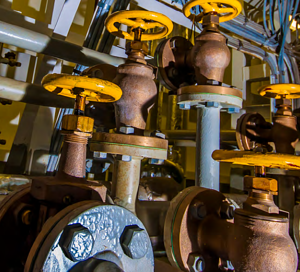 What Parameters Are Needed to Properly Size Control Valves? A control valve should be sized to allow for operation between 60% and 80% open at the maximum required flow rate and approximately 30% open at the minimum required flow rate. For optimal operation and life expectancy, the valve should be within the range of 30% to 80% open. Anything outside of that range could cause premature wear on the internal components. When kept in ideal range (30% to 80% ) the valve’s life span and performance are optimized while associated costs are minimized. What Are the Consequences of Incorrect Valve Sizing? Incorrect valve sizing can result in unnecessary, rapid wear on the internal components, and can also cause valve chattering and, in some cases, catastrophic damage. At the very least, improper initial sizing can force users to start from scratch in order to correct the problem. This can result in loss of production time, an increase in labor, additional costs for shipping and associated expenses, and, if the original product can’t be returned, cost increases for the end products themselves. At Baelz North America, we have assisted our customers with sizing their valves properly, allowing our customers to optimize performance and longevity. For this reason, we prefer that our clients send us all relevant information prior to ordering valves so we can assist with sizing from the start. We can provide our recommendations within 24 hours of the request. What’s Involved in the Baelz Valve Sizing Process? Operating temperature — The operating-temperature at the valves location. Maximum CV (if known) — Flow coefficient (or CV) is a universal capacity index defined simply as the per-minute amount of 60 °F water (measured in U.S. gallons) that will flow through a valve with a drop in pressure of 1 psi. Operating pressure — The maximum psi/bar at the valve. Type of fluid and specific gravity (if known) — The type fluid used can determine special requirements that the valve may need. Our valves can support a wide range of special process needs, including chemicals and hazardous materials, and can easily handle heavier flows with the use of special cage plugs and stainless-steel bodies if needed. Cage plugs have holes which go through the plug to manage higher flows which will extend the life of the valve by reducing wear. As the official North American supplier of industry-leading valves and valve components from Baelz Automatic, Baelz North America is proud to offer a wide range of valve solutions to meet specific application needs. Our expert team is well-versed in valve sizing and can work with you to insure that you select the ideal size for your unique job. For more information on control valves or for help in sizing your control valve, contact the team today. And for tips on how to avoid valve chatter due to improper orientation, download our free guide.